Latin name: Rhizina undulata Fr.:Fr. Synonym(s): Rhizina inflata (Schaeff.) P. Karst. 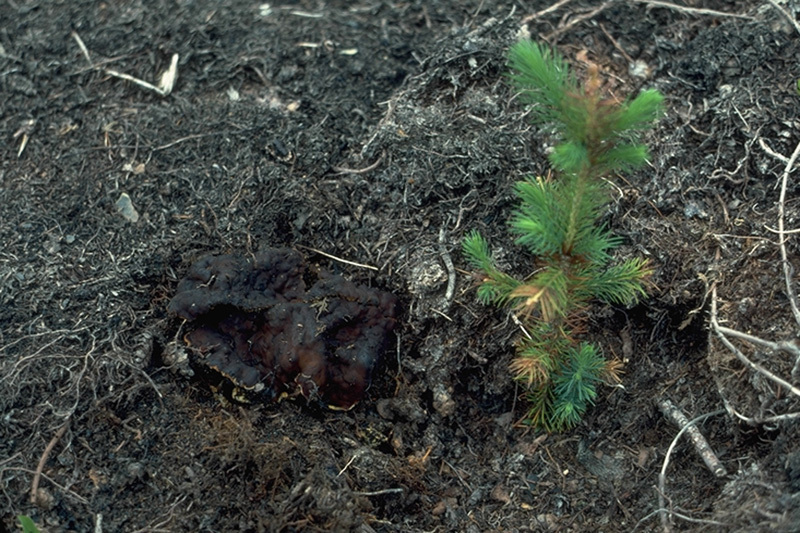 Outbreaks of the disease are sporadic, but the mortality of up to 80% of seedlings has been reported in newly established plantations, following site preparation burns. 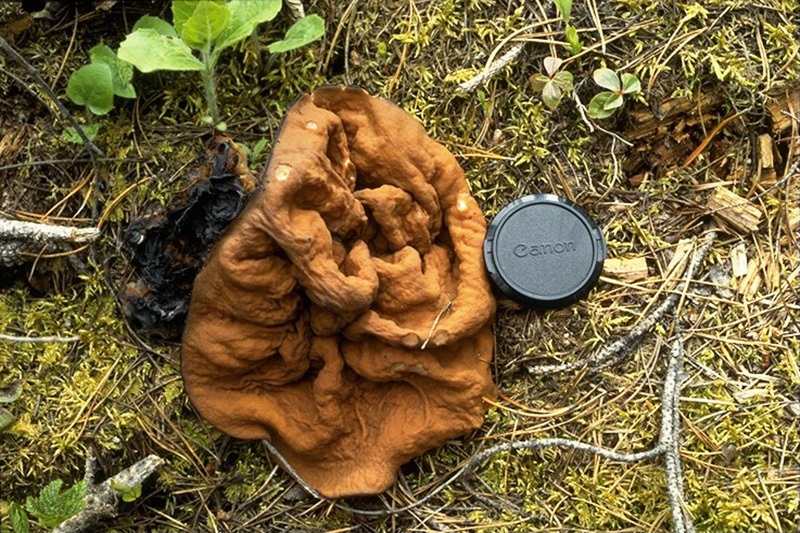 Fruiting bodies appear in early summer and last until the first frost in the fall. The spores are dispersed by the wind and carried to the ground by rain, where they survive for at least two years. They germinate and colonize the litter and conifer roots. The fungus spreads by means of its mycelium, infecting and killing other seedlings. Later, fruiting bodies form on the root collar of infected seedlings and the cycle starts over again. 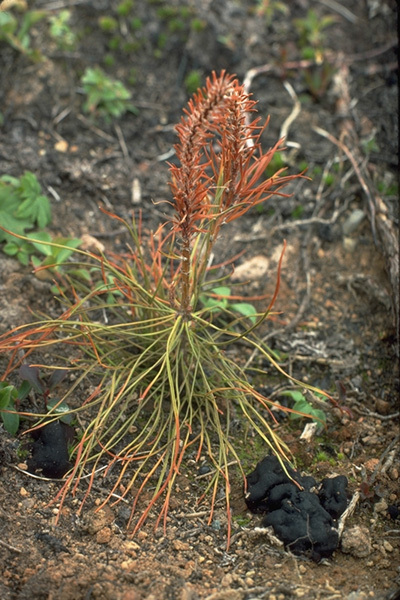 In British Columbia, rhizina root rot is mainly a disease of young seedlings in plantations that have been slashburned within 2 years. 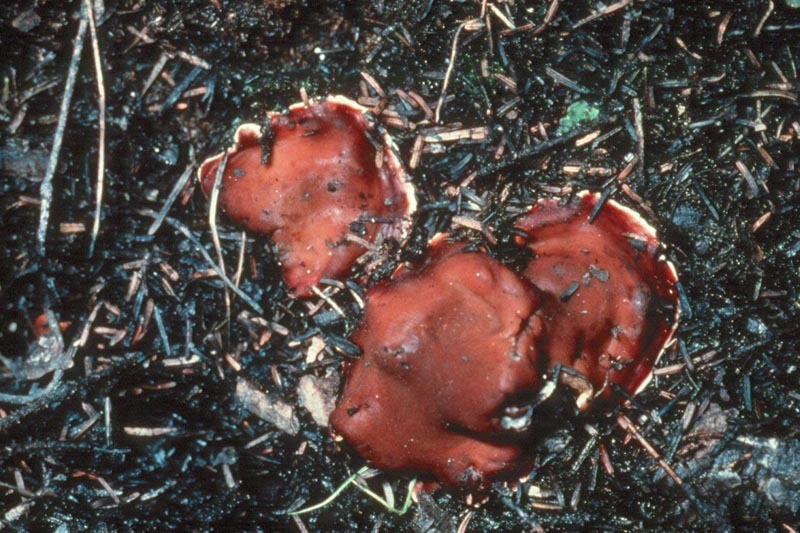 In other parts of the northern hemisphere, the fungus is known to affect all ages of trees, but is always associated with recent fire activity. Damage might be avoided at high risk sites by delaying planting for two or more years after burning. No chemical or biological controls have been developed. R. undulata is sometimes confused with other ascomycete fungi, particularly Gyromitra species (Fig. c). Young fruiting bodies of Rhizina undulata, the cause of Rhizina root rot. 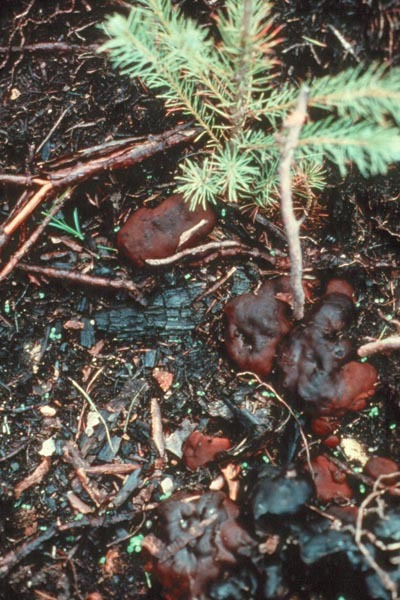 Older fruiting bodies of Rhizina undulata, the cause of Rhizina root rot, on a site burned early in the preceding year.